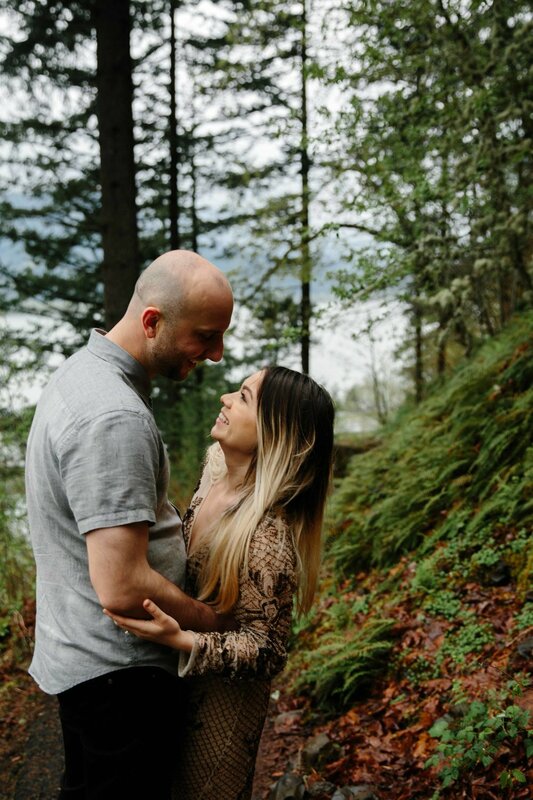 portland, or engagement photographer: amy + greg! 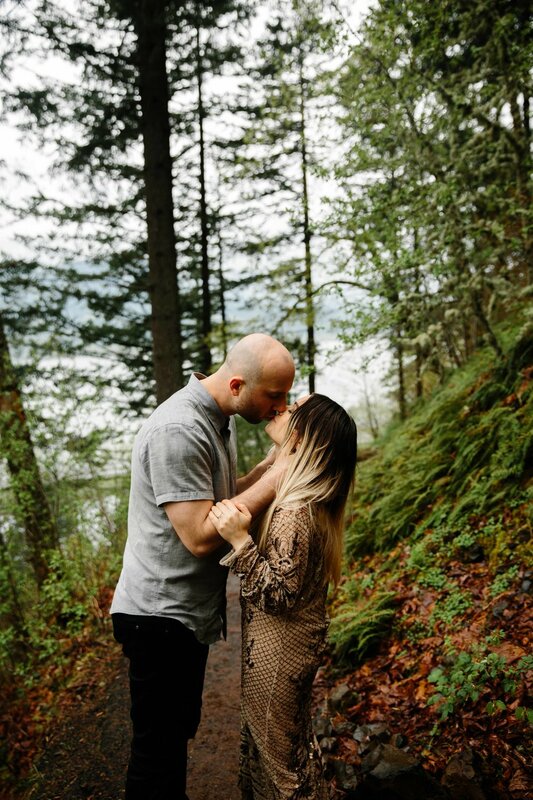 my sweet friend amy and her best friend, greg just tied the knot in the most beautiful and genuine ceremony, so i figure it's time i finally share their engagement session! i met amy on care.com (like online dating but for desperate moms looking for sitters) and she babysat penelope for about 3 years and eventually coco too before she moved back home to oregon. amy was such a great sitter, penelope adores her, and she's always full of light and so kind, i immediately trusted her. amy also happens to be really cool, like you want to hang out when you got home from going out and then ask her where she bought every piece of clothing. so now that we've covered how cool and generally great amy is, we can move on to her and greg haha. when amy asked if i would do their wedding photos, i was so excited. 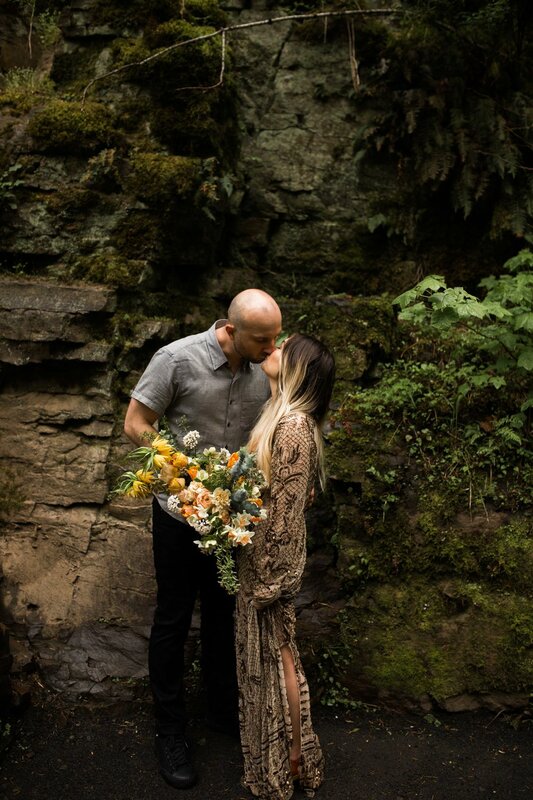 i knew i had to their engagement session because i'd never been to portland and i knew whatever amy planned would be soo soo gorgeous. i brought penelope with me so she could see amy and we made a little girls weekend of it! amy's sister babysat penelope and amy, greg and i drove to multnomah falls for the shoot where it drizzled and drizzled some more on us! 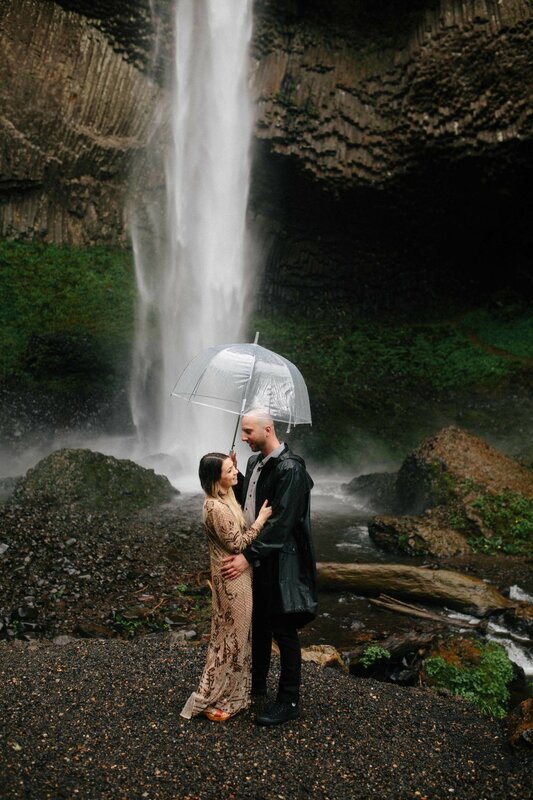 we hiked through the mist and mud, amy in a beaded gown and clogs, cause that's what you do for photos haha, while greg pretty much kept us laughing the whole time. after our session, i knew why they are together, they perfectly compliment one another and he kept her laughing and calm through the rain. i'm so happy for these too and i'm so glad i signed up for care.com and met amy and now greg!